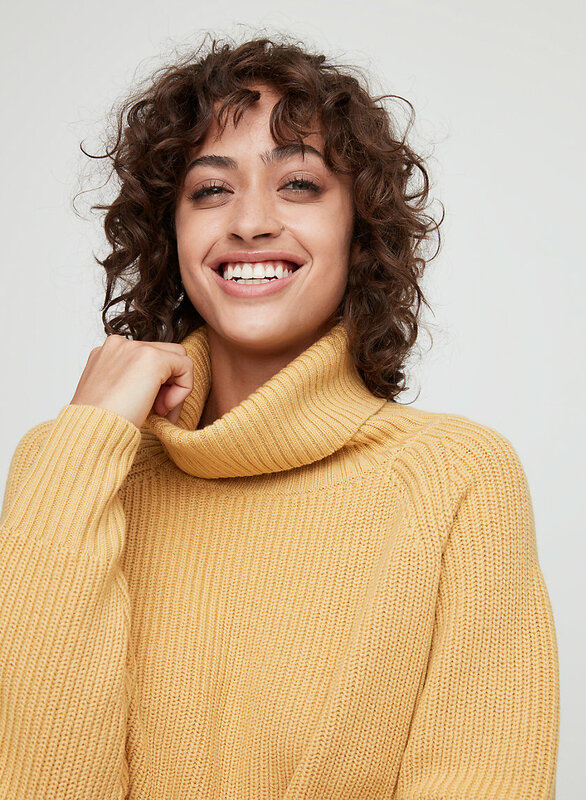 This turtleneck is knit with extra-fine merino wool from Italy that's exceptionally soft and warm. A half-cardigan stitch adds texture, while the curved hemline creates a modern silhouette. Wish the arm were a bit longer and the body not as wide. Overall love it. Goes well with jeans or dress pants, it’s very warm and the bottom hem is super cute. I LOVE this sweater, best sale purchase ever. 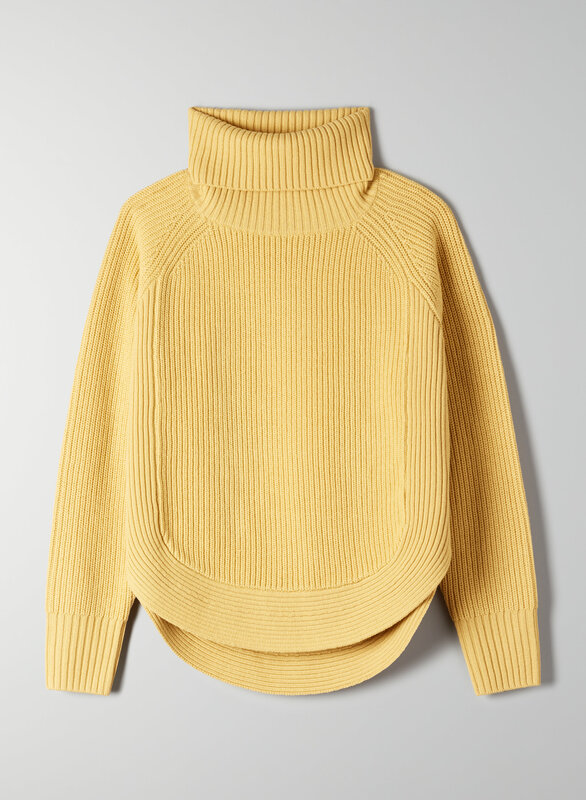 It feels like your favorite cozy sweatshirt but looks like a gorgeous and expensive knit. I actually went up a size from my usual to a Medium so that I could wear it slightly oversized with leggings and skinny jeans and super happy with the result! A Small would have fit also but would have been more true-to-size. Perfect pair to my Daria leather leggings. 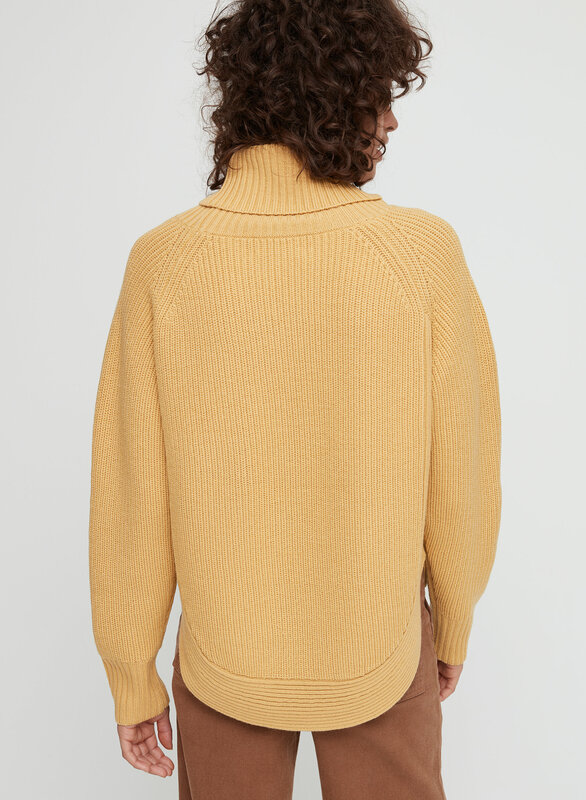 Love this 100% merino wool sweater. The size small fits a bit bigger, so I also ordered an XS to wear as a more fitted version. Pretty expensive regular price, so waited to order both on sale. Although great, would not purchase at regular retail price. Fit is perfect and the shape is flattering. True to size. 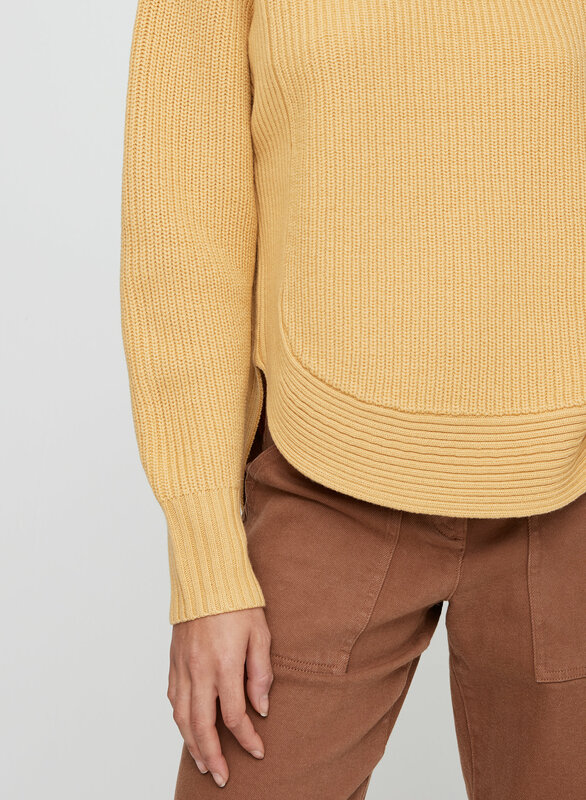 It's very cute sweater, I got it @ small because they ran out of XXS, it's a looks oversize on me since I'm petite but it still looks cute so definitely recommend! 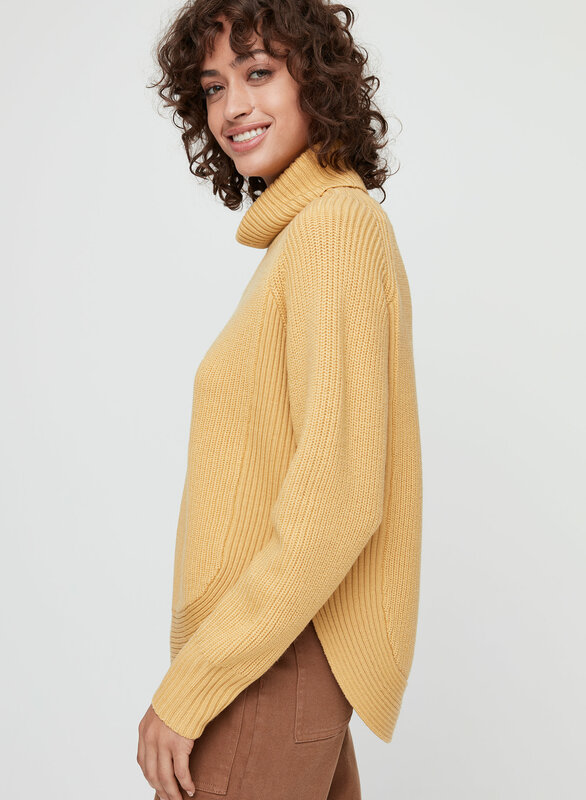 I'm a tall lady and, though I normally wear a medium, I opted to buy a large for this sweater, without having tried it on first. 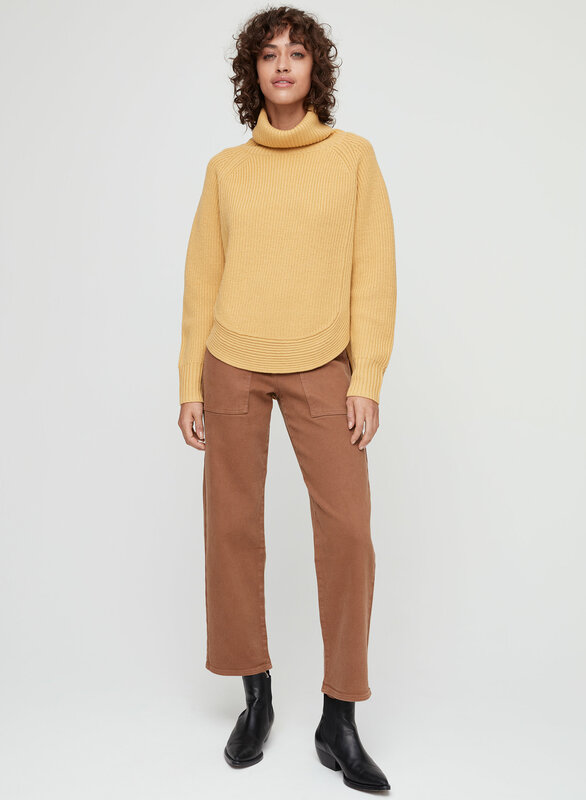 I've fallen in love with too many Aritzia sweaters online only to have received them and realized they are awkwardly short on my tall figure. With the slits going up the sides, I wasn't going to take any chances and I'm glad I didn't. This was just long enough and the oversized sleeves weren't too much. 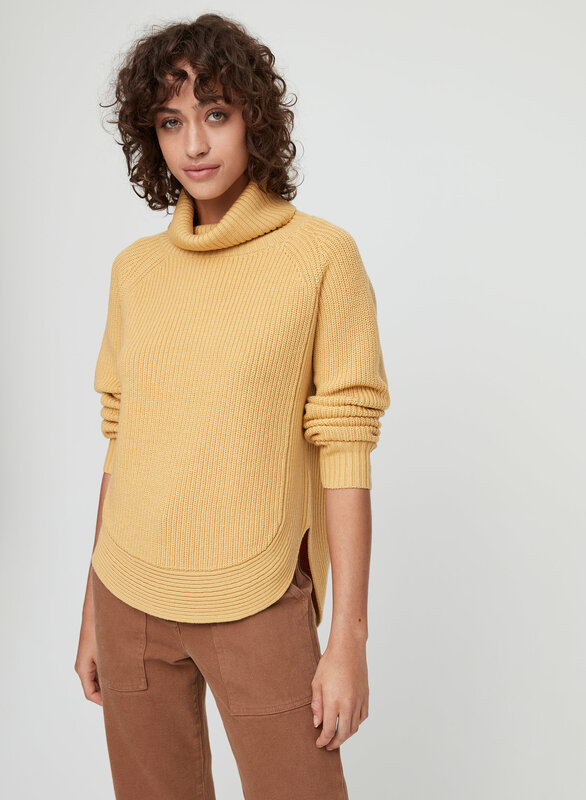 The style is beautiful and unique and the knit is so soft! I got it in two colours! Cozy over sized sweater perfect to wear casually on a winter day.